November 29, 2014 — Cathedrals. They’re beautiful, awe-inspiring, grandiose, glorious, mundane, boring, bland, pedestrian works of architecture. And I mean every word of that. 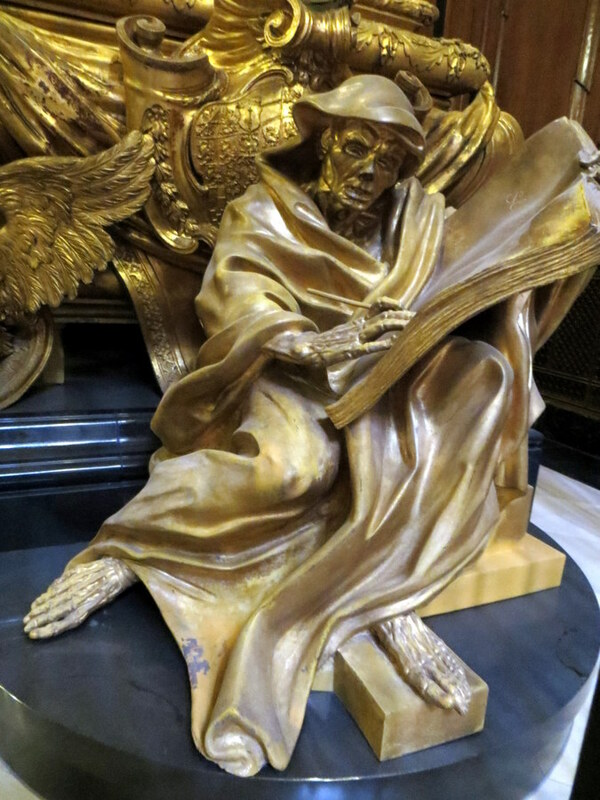 Every square inch of a cathedral is wondrous, but these amazing edifices of art, architecture, and culture are about as commonplace in cities across the world as municipal buildings and they all feature the same iconography. Well, almost all of them. So I rarely put them on my itineraries. 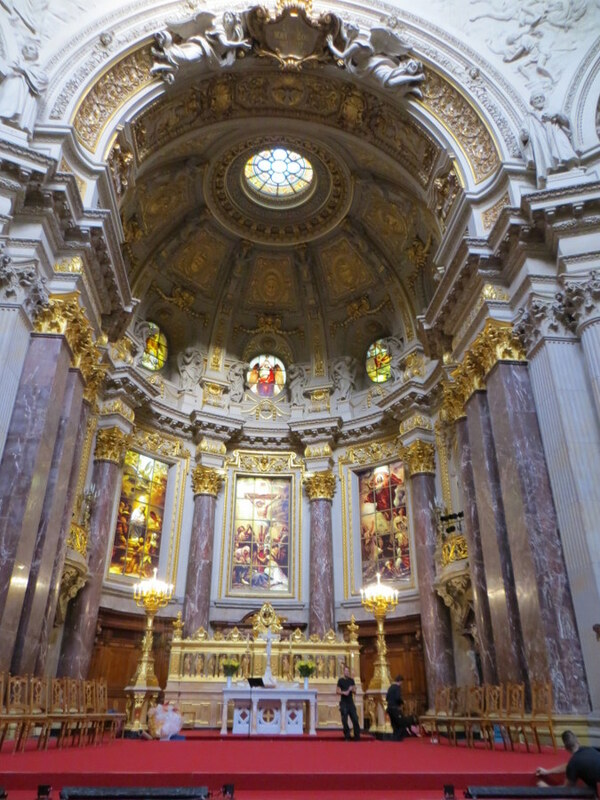 And that’s my bad, as the Berlin Cathedral reminded me when we spontaneously visited it. It was our first day in Berlin, and we were wandering the capital city of Germany in a fog of jetlag trying to figure out lunch. In the distance, we saw the dark, monstrous, almost crustacean-shelled form of the protestant cathedral rising in the distance, and I guess it drew us. People were hanging out on the large green lawn in front of the building, reading books, kicking soccer balls, all while a stone statue of Jesus, high up and lost in all the ornateness of the building’s façade, stared down placidly with the disappointed air of someone who hadn’t done much since dying for the planet thousands of years before. 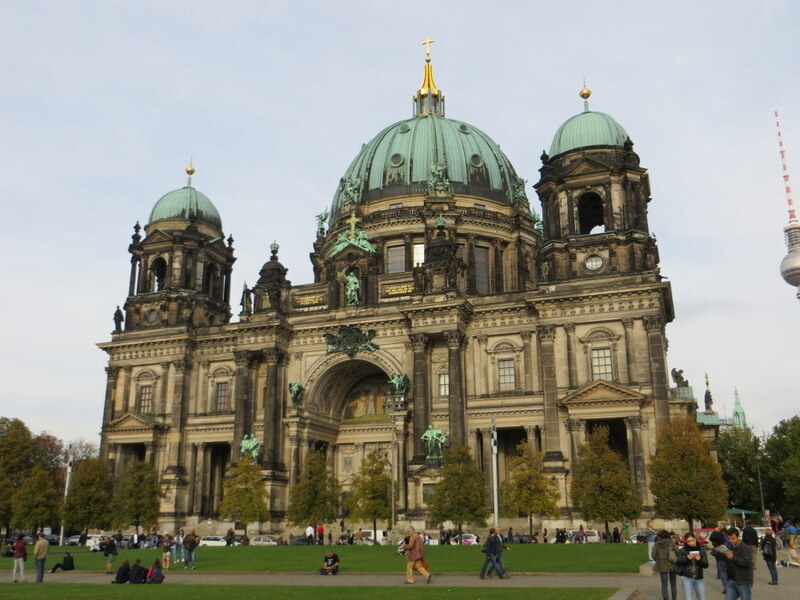 The Berlin Cathedral was completed in 1905, so it’s relatively young as far as these things go, but the history of the church body itself goes back to the 15th century. That’s all the history you’re getting from me, though. I couldn’t even understand the Wikipedia page. After paying the entrance fee and turning down the audio tour, we followed the red arrows that demarcated the tour route, which immediately led us to the auditorium. There we saw the usual cathedral stuff, mosaics and murals, a massive organ with thousands of pipes, sculptures and paintings so numerous it was as if bare walls were a sin. 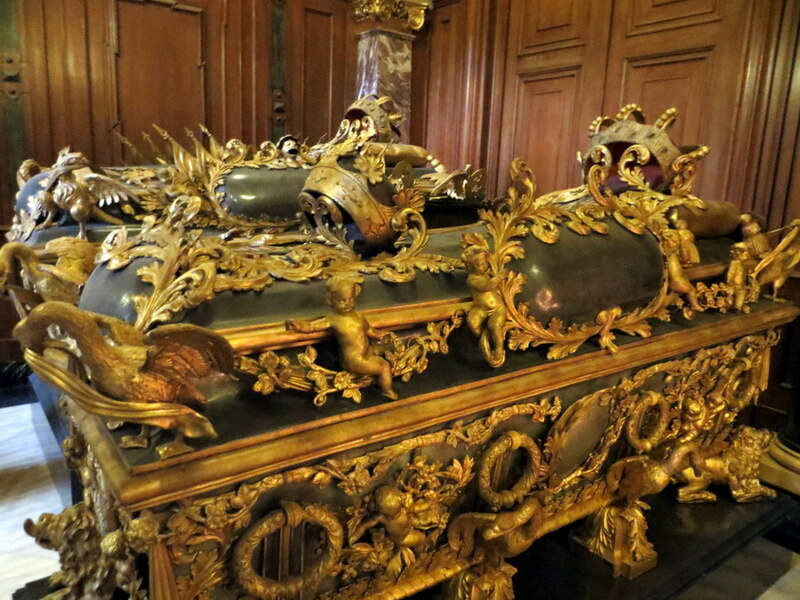 It seemed Catholic in its opulence. 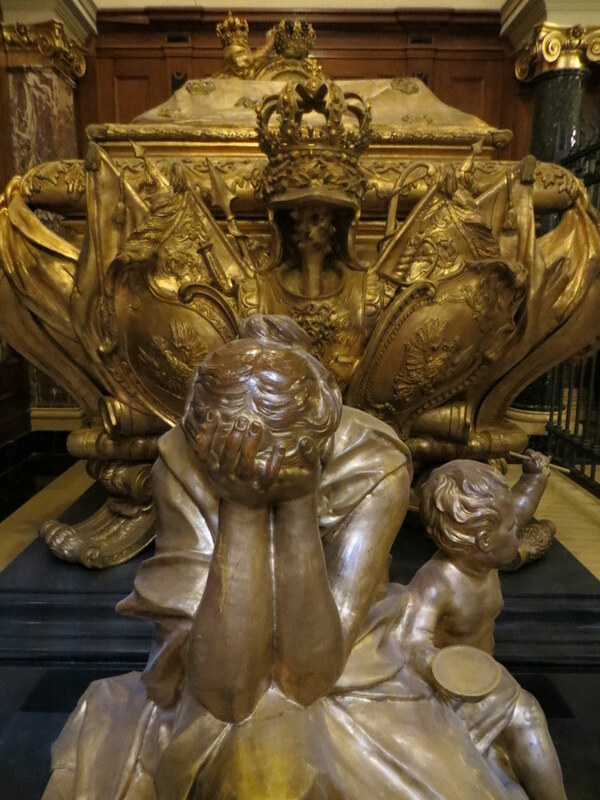 However, even though our eyes quickly adapted to all the usual splendor, in the four corners of the auditorium stood artworks that more matched my interests: The large, gold-coated sarcophagi of German royalty. 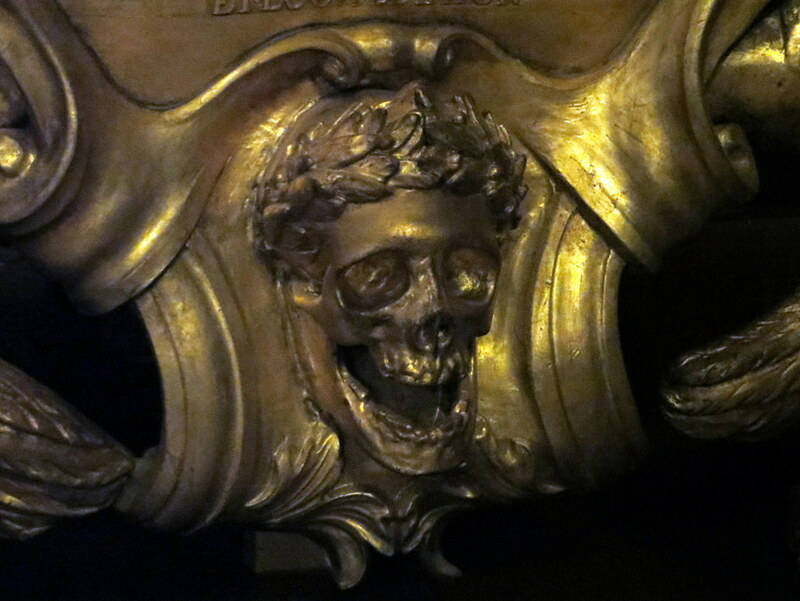 These things were absolutely textured with statuary, from a full-sized mourning woman to cherubs and skulls, birds and crowns, to a creepy, half-decayed robed figure that was writing in a book. 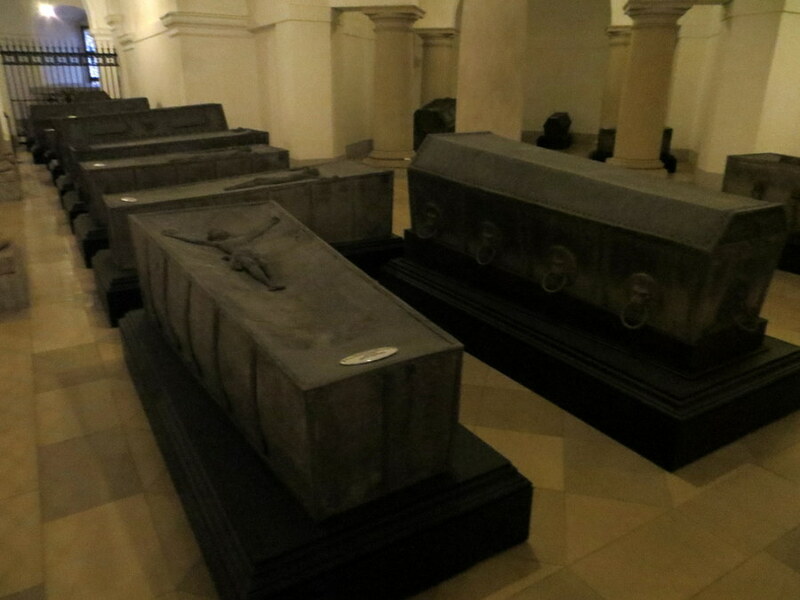 These death cases were obviously never meant to be hidden in tombs. 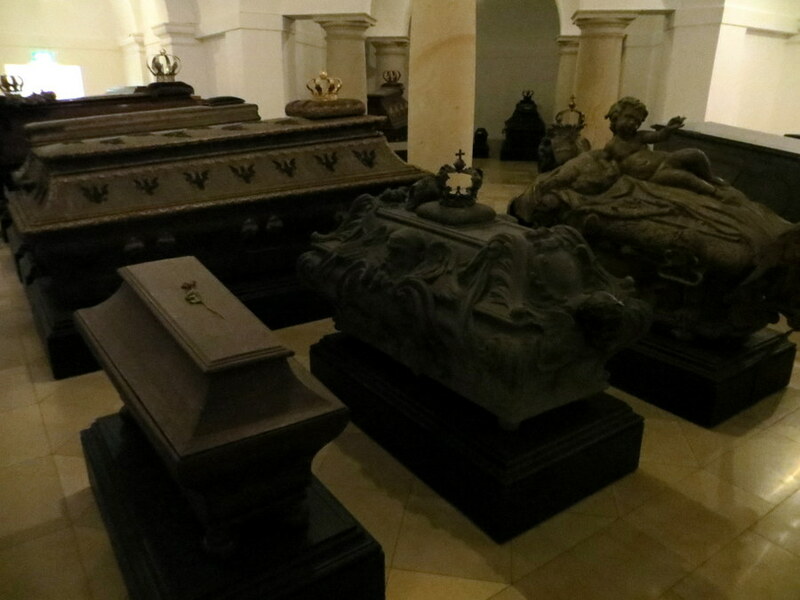 They were the sarcophagi of Frederick I, King of Prussia and his first wife Sophia Charlotte; Johann Cicero, Elector of Brandenburg; and Anna Dorothea of Saxe-Weimar. 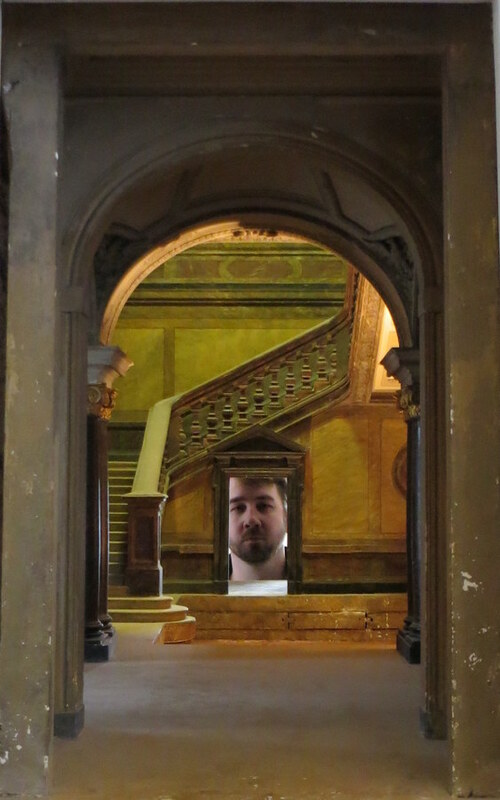 From there, we followed the arrows to what we thought would be the exit, but it took us up multiple staircases and through exhibition rooms filled with art and ancient masonry salvaged from previous versions of the church and scale models of the cathedral and other buildings. Finally, we were deposited onto the roof of the cathedral itself. 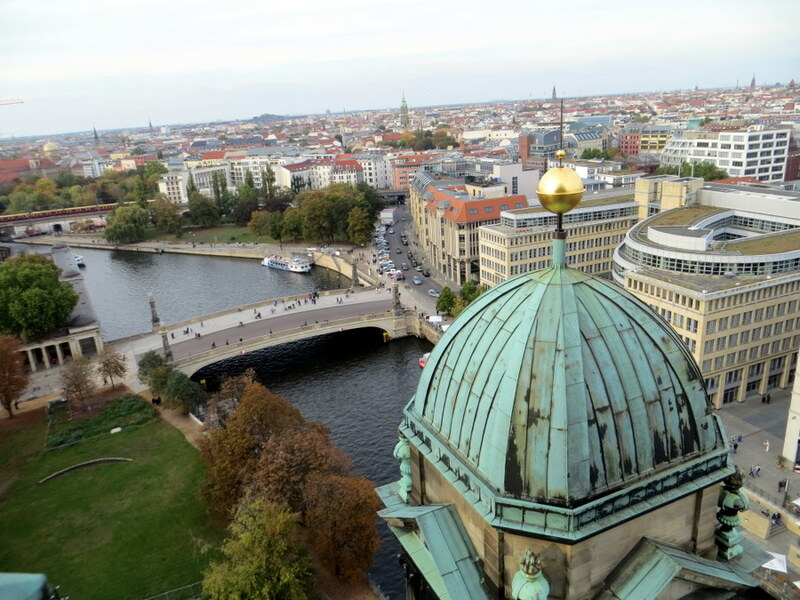 A walkway encircled the dome and offered a heady vista of Berlin and up-close moments with some of the statuary that, from the ground, had merely made the building roof seem prickly. 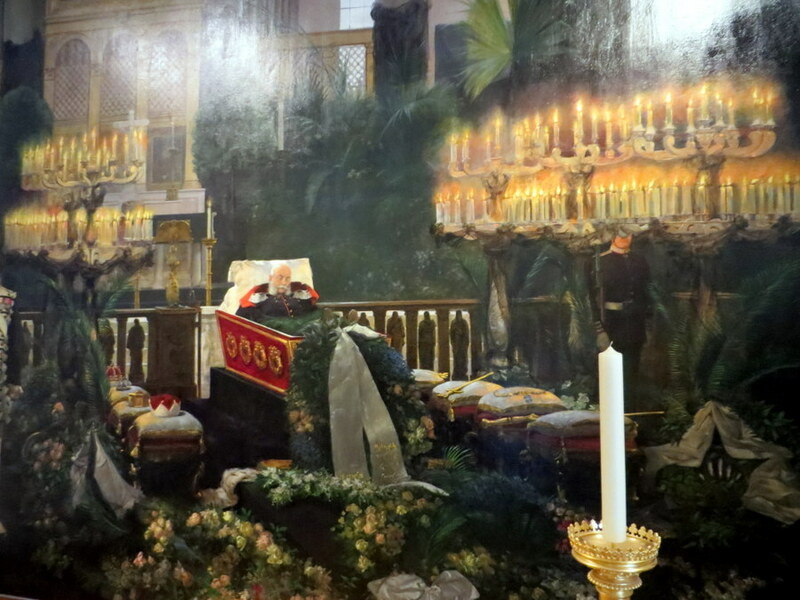 Wall-sized painting of the funeral of Emperor William I. 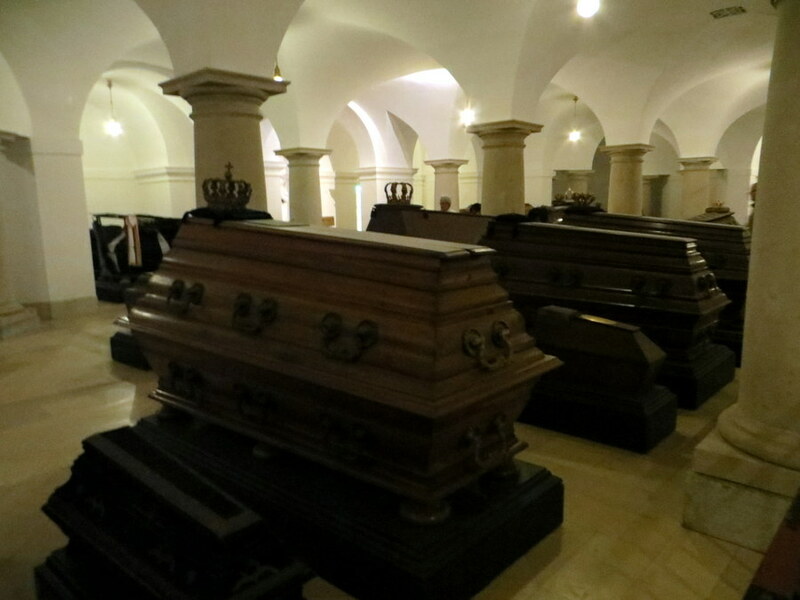 As we continued to follow the arrows, assuming this time would definitely be the exit, we found ourselves instead beneath the cathedral, in what I would later learn is the Hohenzollern Crypt. 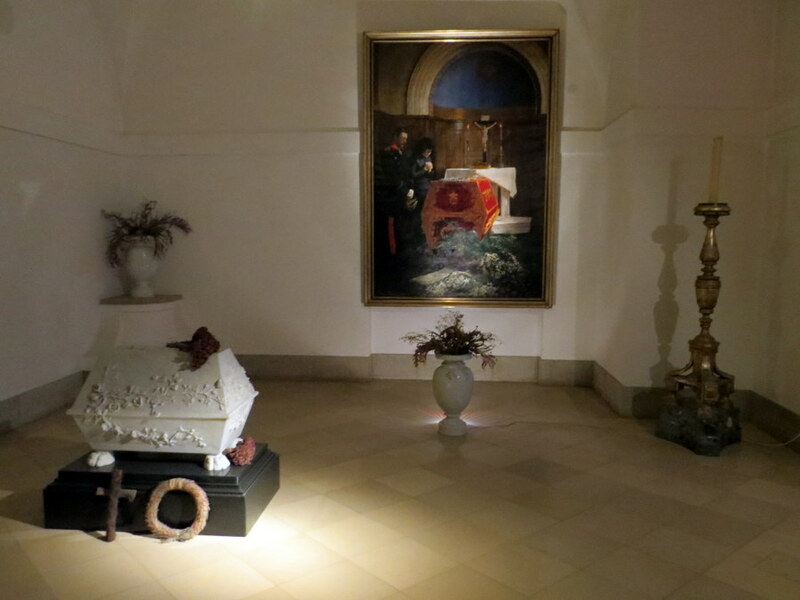 There, we were surrounded by some 90 sarcophagi that dated as far back as the 1500s, arranged on the floor almost as if it were a funeral showroom. 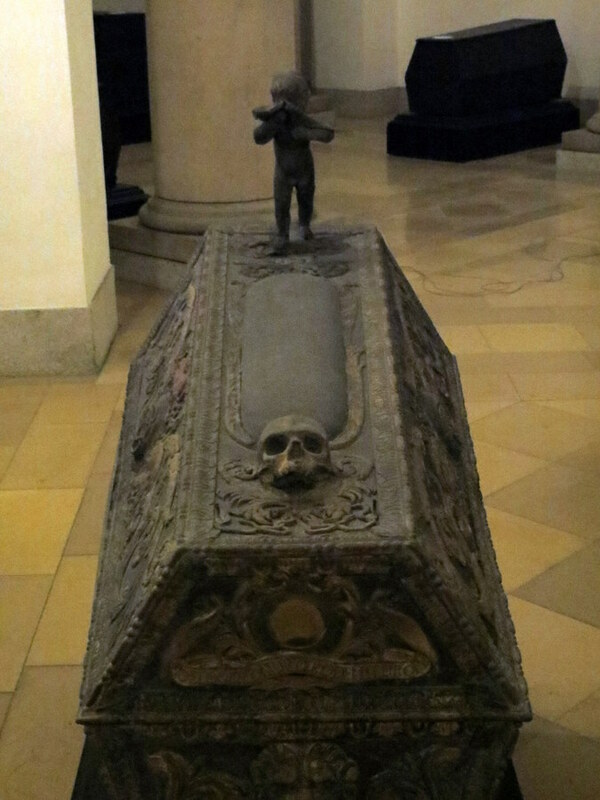 Some were almost as ornate as the sarcophagi we had seen above, but most were dark, somber, almost vampiric affairs…and many were infant-sized. All contained the dust of nobility. Eventually, the arrows did lead us outside the church, where now, to me, the fascinating exterior proclaimed the wonders it hid inside. Hopefully, I’ll remember that the next time steeples and domes start slipping into my blind spot. But I probably won’t.